The Maude House presented by Rent29 features a large kitchen, two bedrooms and single bathroom. 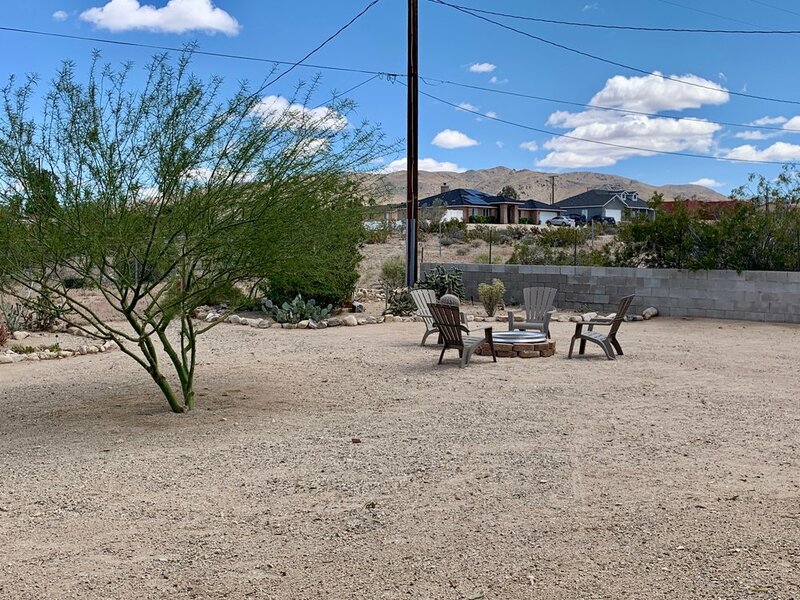 Attached double garage, large fenced yard and located in quiet neighborhood of 29 Palms near JTNP. This rental home is fully furnished and complete with all housewares, linens and laundry room. DoD contractors, Navel and Marine families PCSing to MCAGCC love the convenience of this property. Rents inclusive of utilities, CableTV and WiFi. Dogs considered. 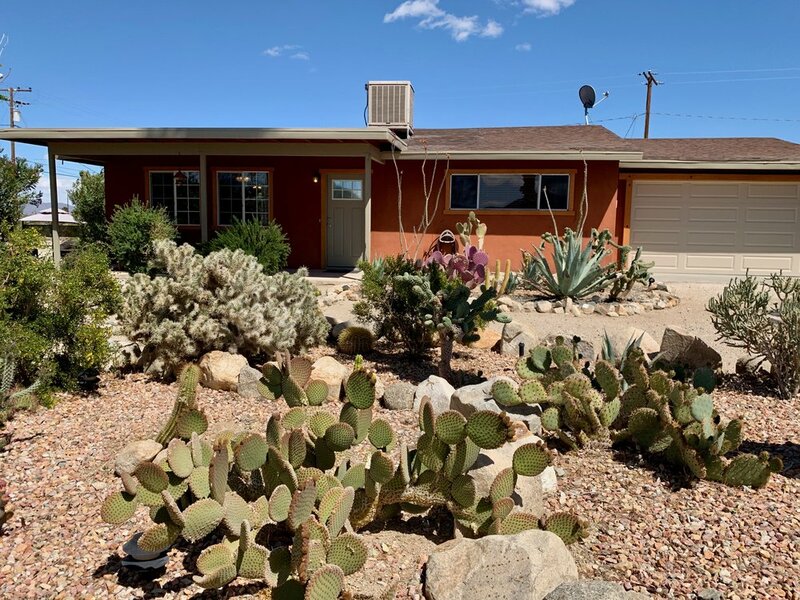 The Maude house in Twentynine Palms is a fully furnished two bedroom, one bath home with two-car garage. 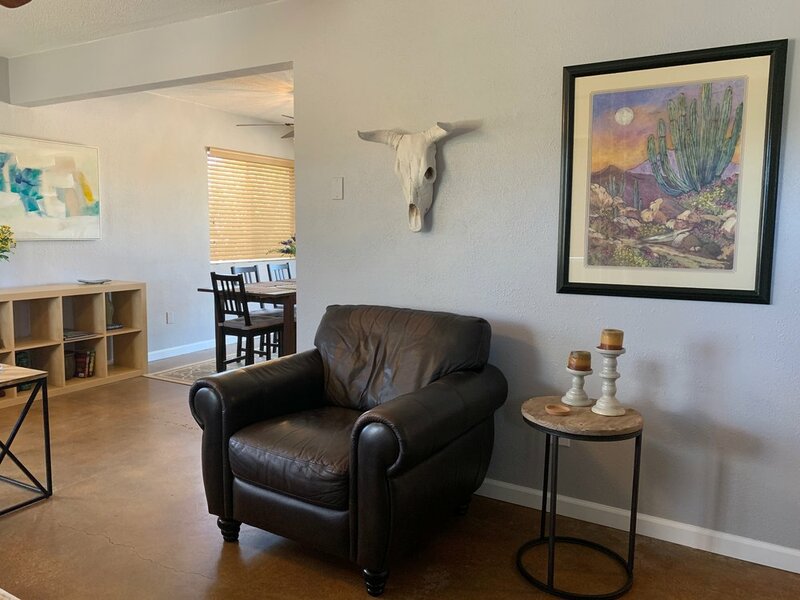 Inside you'll find a nicely appointed home with comfortable furnishings, acid concrete floors which are both beautiful and functional, large kitchen and spacious floorplan. 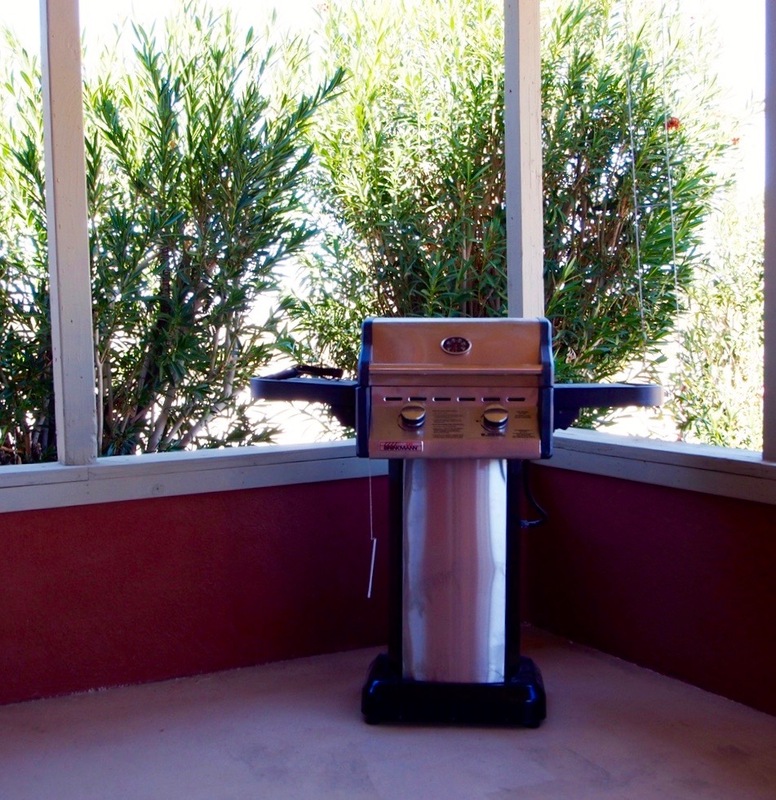 You're sure to enjoy our amazing outdoor spaces with large fenced yard with firepit. Soak in the views of Joshua Tree National Park from nearly every window of this gorgeous home. This house rental is the ideal solution for your short-term, corporate housing, extended stay rental needs. Fully stocked with everything you’ll need from linens, cookwares, outdoor living spaces, laundry room to cooking spices. 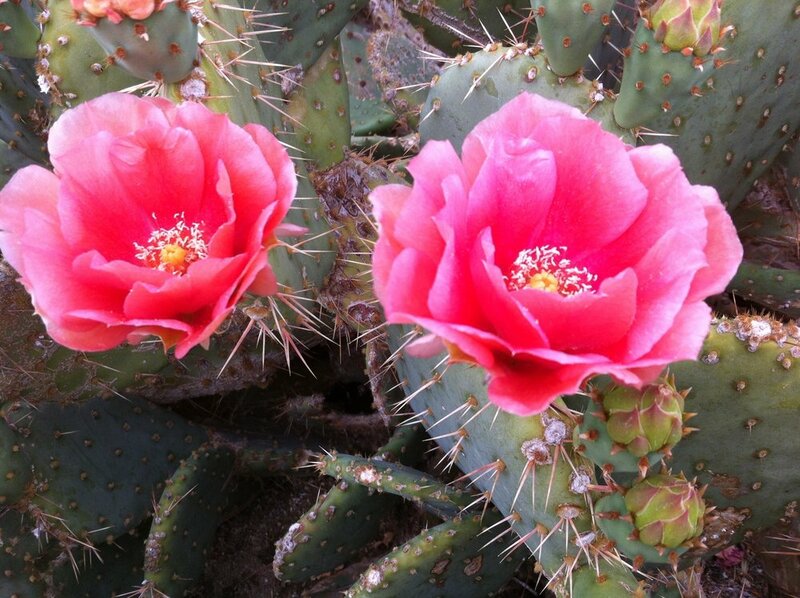 The Maude house is a popular selection for those looking to rent in 29 Palms. 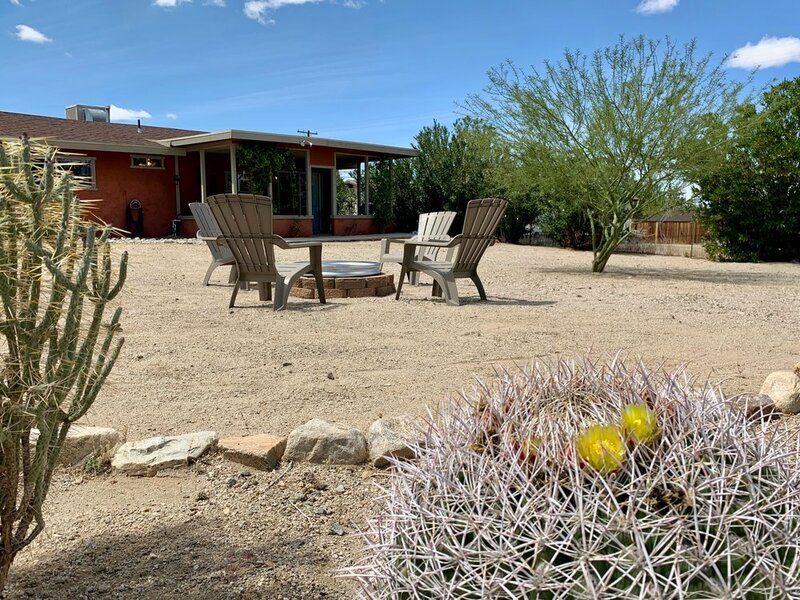 The home is located in a peaceful neighborhood sitting above town provides cooler temperatures, sweeping views of MCAGCC and easy commute to 29 Palms Marine Base and downtown conveniences. For the privacy and security of our guests we do not publish the physical address of our homes.